The Michigan Automobile Dealers Association (MADA) is a statewide non-profit trade association that represents the unique interests of the more than 650 franchised new-vehicle dealerships in the state. 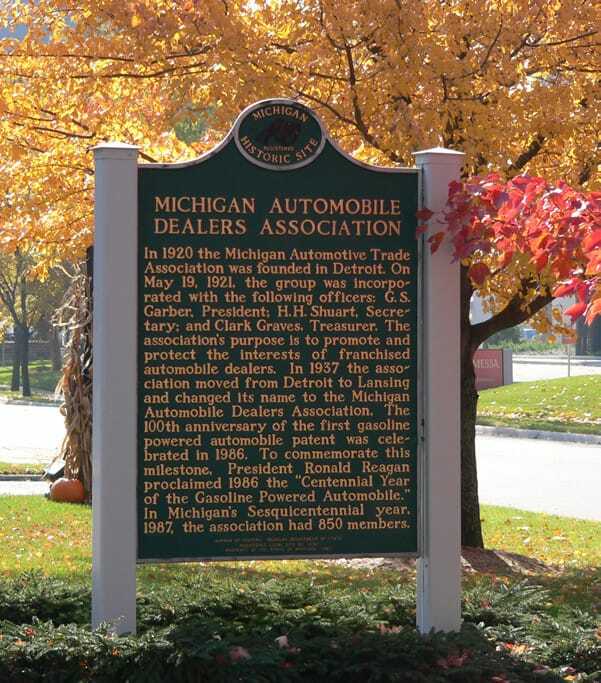 Founded in 1921, the East Lansing-based association works to protect dealers from unfair regulations and legislation on both the state and national levels. MADA is the dealer’s partner in business working to improve the ethics and general welfare of the retail automobile industry in Michigan. Did you know MADA is a registered Michigan State Historic Site?